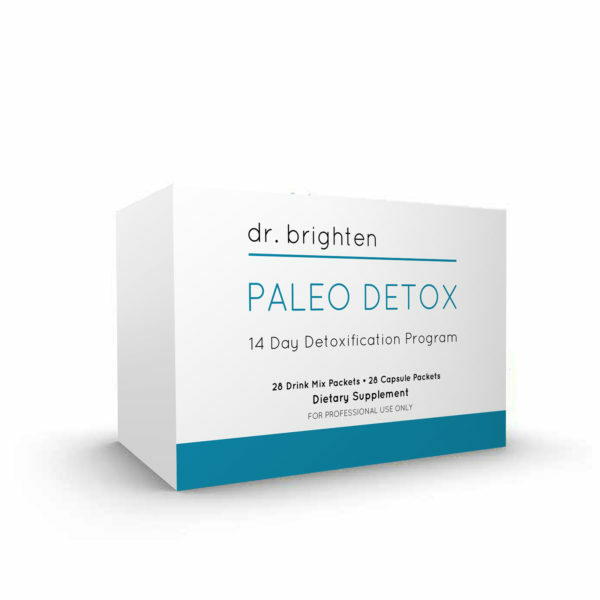 Paleo Detox + Antioxidant Support promotes your natural detoxification pathways, as well as supports cellular defense against oxidative damage and inflammation. 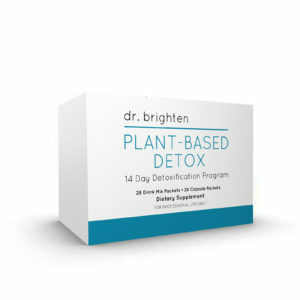 This 14 Day Kit is complete with everything you need to support your detox pathways. Paleo Detox is a comprehensive, science-based nutrition program designed to support safe and effective detoxification. 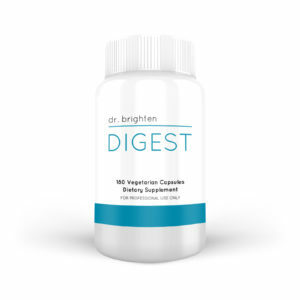 The main protein source is a highly concentrated, pure bone broth protein isolate produced through an exclusive proprietary process that allows the protein to be hydrolyzed into more peptides, resulting in easier absorption and assimilation. Everything you need is consolidated into packets to make the program easy-to-follow and to ensure that you do not miss any necessary nutrients. I had so much more energy after only a few days! I did Dr. Brighten’s hormone detox program with just food the first time because I was breastfeeding. I felt a lot better and my mood swings improved. I recently did the program again and used this kit and it made a huge difference. I felt way better the first time, but after doing it again I no longer struggle with PMS. Love the powder! I am always wary of things with stevia because it can be overpowering and I don’t like the taste. The detox powder is delicious and I’m so happy to find one I like that doesn’t taste like too much stevia. I love that this kit includes antioxidants! I feel so much better every time I do this detox. I’ve done it twice now and it really helps my skin and my energy. I did this as part of the birth control hormone reset program and it was fantastic! I had post birth control syndrome before and went back on the pill because of it. This detox kit with the program is why I am now off the pill and not having any of my previous hormone problems. Excellent detox kit! The individual packets made this super easy to use. I’ve struggled with acne for years. After using this product my skin looks the best it ever has and I haven’t had another breakout since! I have detox issues and am MTHFR positive. 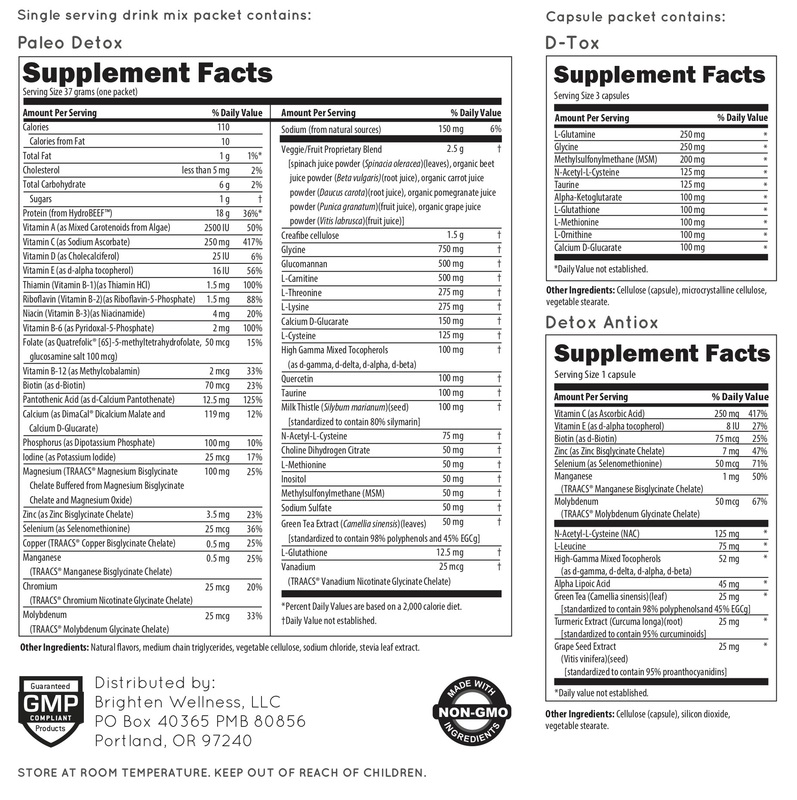 This is the first product that didn’t give me headaches or make me feel sick while taking it. After only a few days I had more energy. My digestion is also way better. This is my new favorite product.